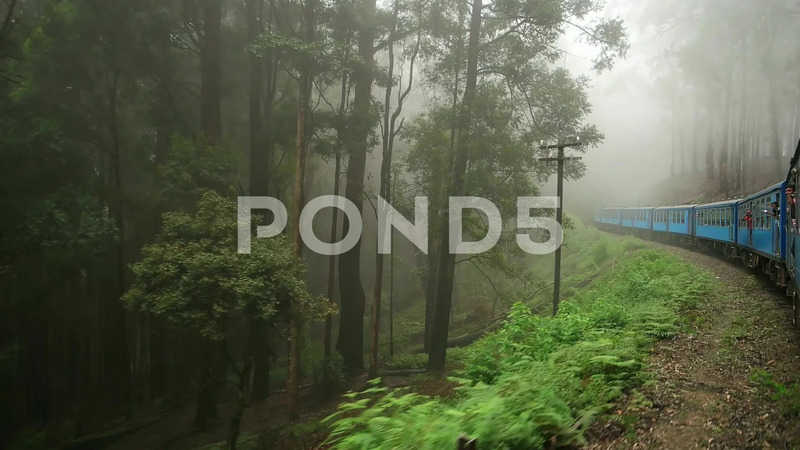 Sri Lanka - Slow Motion Ride By Highland Train. Fog In Forest. Description: Sri Lanka - January 2016: Slow motion ride by highland train. Fog in forest.